For mens fashion accessories the day has come for fashion forward creativity! Ages of blasé mens fashion accessories are now over! Welcome to the new revolution of mens accessories with personality! Since I can remember the realm of mens fashion accessories has been the definition of limited. The classic tie, hat, brief case, watch, and cuff links in the same conservative styles and shades of colors. We are seeing the new era of the male ego and presence. It’s not just the confident man that wears accessories, it’s everybody, the confident men wear the bold accessories that reflect their dynamic personalities through style that breaks the barriers! I call it “conservative boxism” that has stunted the fashion forward growth that is deserving, and has been lacking in men’s accessories in development of individual personality and masculinity. The time has come! Let’s explore never-seen-before concepts in shape, use, color, and texture that have emerged. Let’s set the next trend! Why not? First let’s see a few staples of basic men’s accessories in different new mediums and takes, done up, done right, with new variety to choose and build on. The centuries old staple of the manly accessory. The accessory that next to the umbrella (if you can call the umbrella a accessory) has been a needed paramount in every man’s wardrobe. My question is: Besides solid, striped, paisley, and the occasional flower motif, what development have we really seen in the last 100 years or so? If there were any fashion era where the limits of the traditional were expanded upon, it would have to be the 80’s, where we saw the casual tie in a skinny size in other textures in wool and leather. What advancements have we seen lately? The casual tie resurfaced again in 2009 as the fabric wool and cotton ties came back on the scene, but to me it was disappointing to see the lack of design creativity, it was just a recycle. The good news here is that through GSb Men's Couture we are committed to bringing the world of men s fashion accessories to the level of development it deserves to bring men the choices they need in individual style. 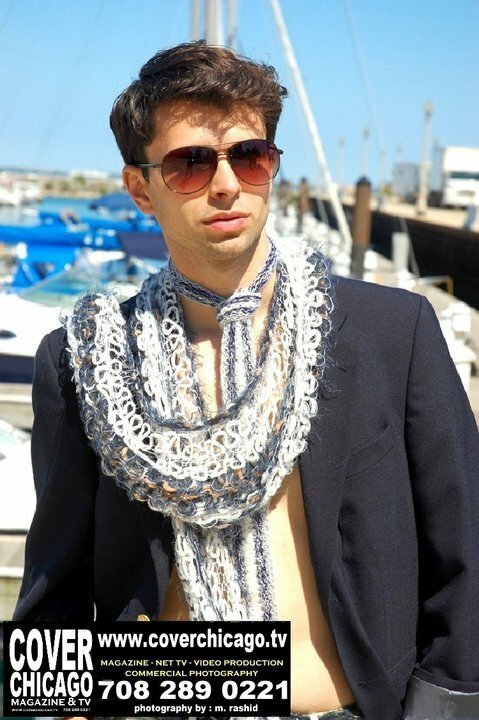 Click here for the latest trend in men's couture scarves done right! He had to be on guard in my nightlife in Chicago to screen exactly who would reach out and pet his chest! He liked all the attention. Texture so posh and rich, life is better in 3D! With your men's couture your attracting the ladies for the right reasons, for being yourself,.... not a billboard for a brand! Soon we had more orders for couture custom ties than we knew what to do with. A new revolution in mens fashion accessories, for the confident bold man that wants to stand out! 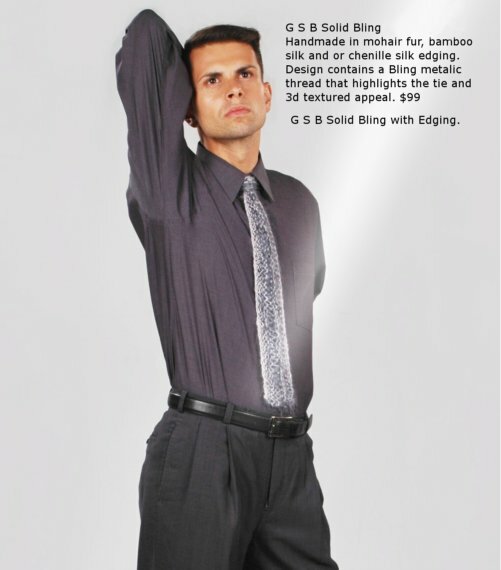 It is so much fun designing and modeling such a thrilling concept in Men's Couture Ties! We really endeavor to make each tie to match the personality, likes, and dislikes of each man I make a Tie for! This way you not only get attention for being unique but you are standing out by truly being yourself! What is SO exciting is that through our new online couture shop you can customize each GSb Design to your size, colors, and PERSONALITY! Very new high tech functionality! Click on Photos for enlarged gallery! Click Here or on photo to find out about the men's handmade couture summer scarf. See the Spring 2013 solid color fur neck tie design. Fur from the Alpaca mountain is fitting for GSB accessories because it’s strength and resilience. The mountain goat leaps over huge obstacles to live at the top of the highest peaks! These are the kinds of mens fashion accessories options that Men deserve, beyond the same old regurgitated styles. Options that reflect individual personality traits. For more original concepts and trendsetting boldness, Click Here! We are seeing this fundamental accessory being brought up to par. 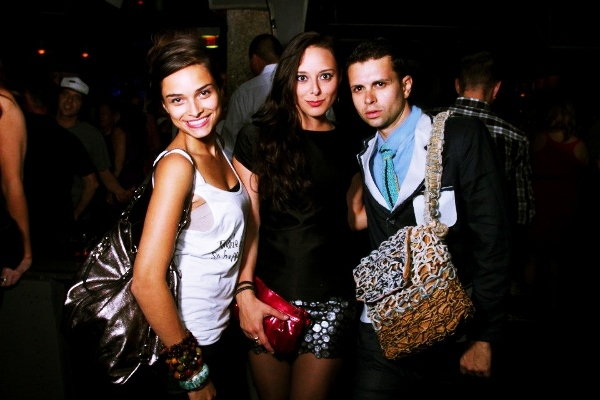 A bag should be usable and stylish, and present a message about its owner. Professional men understand this as far as their briefcases go, but that has been it! 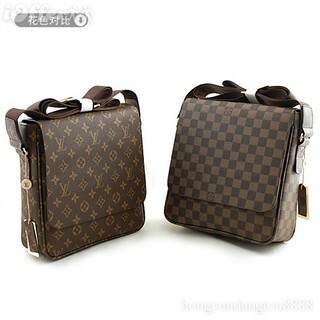 What we have seen is that if a man wants a large multi-use casual bag the only two styles either have you on a camping trip, or your a school boy with a backpack. Now we seeing incredible variety in Mens fashion accessories in the area of bags, from the Euro-messenger to the large handbag. 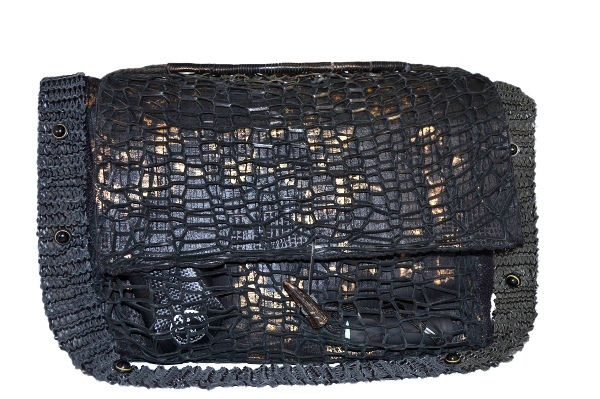 This is the knit deerskin GSb men's couture bag for 2013. Get the details here. Check out the option for practical styling that my new couture ipad case with handcuff design in goats leather, fur, and silver hand-knit wire. For those that can't function without their ipad, its literally cuffed to their wrist! Cuff is made of leather and is embedded with Energy Force charged strength and balance crystals! Keep your balance while staying strong! 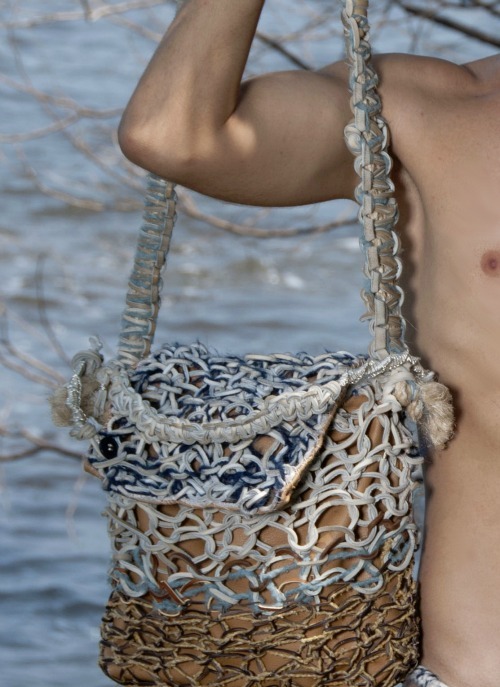 See the leather, bamboo, silk, rope, and silver bag I made for myself and see why it is so important to have a bag that reflects who you are and what you are about, plus have fun with the series "The adventures of Cal and his Manbag on the Chicago Fashoin scene!" Click here. 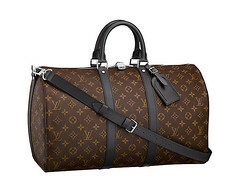 Luis Vuitton has been key in pioneering the concept of the "man bag"! See why they are SO very practical and Stylish! I ask you guys and gals, what is not masculine about a large, detailed, stylish, well-made leather bag? In my opinion they are arguably much more masculine than feminine in essence. The important thing is that in mens fashion accessories, there are now choices too! Favorite outfit goes with favorite bag! That is only fair, and finally ascribing men fashion dignity! This is what we want to see for all men not just the confident “metro” male. Everybody that has a personality! We have also even seen men’s bag in other textures besides leather, which we at j-na and GSB are all about exploring new and different textures. What kind of personality do you have? Think about dressing outwardly to enhance and develop who you are inwardly, instead of hiding who you are behind a ready-made label. 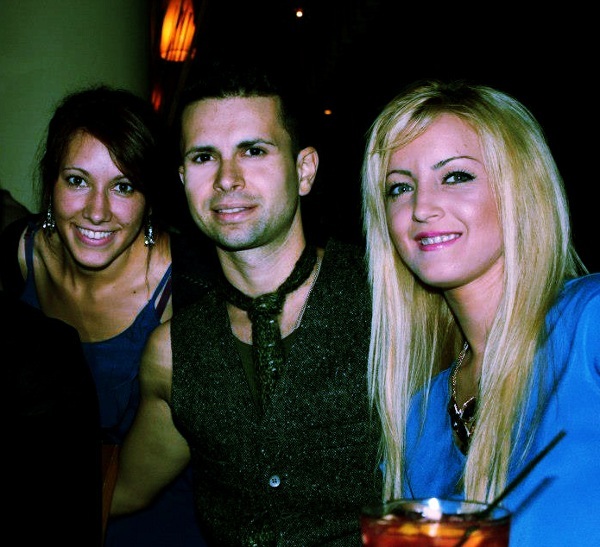 Click here for the latest in GSb couture trends and inspirations in mens fashion accessories!